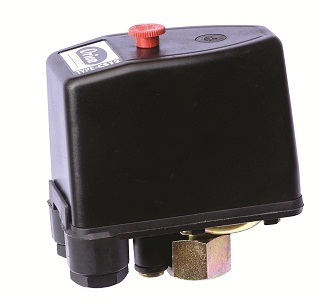 CS 12 compressor pressure switch offers peace of mind and unbeatable features. This switch avaible in ready to use condition. Special unloader valve prevents compressors from starting under load. No special mounting required for this switch. Sensing Element : Nitrile Rubber. Factory setting : 6~ 8 bar. Relief valve : 6 mm dia. Cable Leading : 11.5 & 14.5 mm diameter.